When it comes to shark fin soup -- and the international trade in shark fins -- the tide is finally turning, and it's all thanks to consumers. A recent report by the conservation group WildAid found a major decrease in sales by Chinese shark fin vendors in the southern hub of the industry, Guangzhou -- a whopping 82 percent drop. 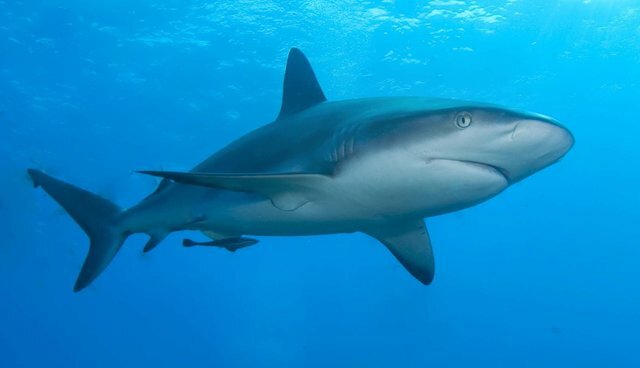 What's more, 85 per cent of Chinese diners surveyed online said they had given up shark fin soup in the past three years, and two-thirds of these respondents said that awareness campaigns were the reason they stopped eating it. Shark fin soup was once the Chinese equivalent of foie gras -- a very expensive luxury food item eaten on special occasions. It was often served at banquets and weddings, or for the arrival of an honored guest. What many soup-eaters didn't realize is where the fins came from. In order to harvest the fins, most fishers catch the shark, then remove the fin (either on board the boat or on shore, depending on the location's regulations). Many sharks are thrown overboard finless, where they are unable to swim to pass water over their gills. They then float to the bottom of the ocean and drown. Not only are there animal welfare concerns with shark finning, there are also issues of the sustainability of the practice. 100 million sharks are killed yearly with up to 73 million sharks used for their fins, primarily for Chinese consumers. In response to this and other environmental stressors, sharks have taken a huge hit -- populations have declined by up to 98% in the last 15 years and now nearly one third of pelagic shark species are considered threatened by the International Union for the Conservation of Nature (IUCN). Happily, animal welfare groups and conservationists have gone on the offensive in recent years. A multi-pronged approach from several groups has not only launched the issue into the spotlight -- it also seems as though it's working, judging from this week's report. One effort by WildAid involved enlisting the likes of Yao Ming, David Beckham and Jackie Chan to spread awareness. Another campaign by the group Wild Life Risk, sought to target airlines for transporting shipments of shark fin. So far, 24 airlines have agreed to ban shark fin, many of them in and around areas where the dish is still popular. Yet another, led by a Chinese-born woman, sought to target happy couples about to wed, offering them a chance to win a honeymoon trip if they vowed not to serve shark fin at their wedding. So far, Shark Truth has saved 2,800 sharks from being eaten.